Thanks to Kristine for this month’s great swatch at DSO. Hi deltalee. I just checked myself, and Wow! you’re right…I got an even longer wait period. However I think this is unusual. Maybe try again later? Beautiful! Thanks – and yes, 4-Shared makes you wait 6-7 minutes, even if you “join” on their free plan. You have to buy a membership to download swiftly unless the designer pays big bucks to allow a 20-30 second wait, and not many designers can afford to put out that kind of money to give a freebie. It is irksome to wait, but i am patient because i know the freebie i receive will be worth the wait. i am never irked with the designer about it – it is 4-Shared’s way of trying to get users to buy a premium membership. They started the long wait periods about 2 years ago in an attempt to get new members. Anyway, Juno’s designs are always worth the wait! Thank you for the kind and gracious words, jayleigh. Do you always have to wait 6-7 minutes to download? This is news to me! I am more accustomed to 20 – 60 seconds wait time, and I go and do something in another tab/on another project anyway while this is happening. I wonder does it depend where you are geographically in relation to the particular 4-Shared server the file is uploaded to? I am not irked with you Juno, I am in australia and I can only print in 8″ x 11″ size not 12’x12′ which is what all the base papers are. 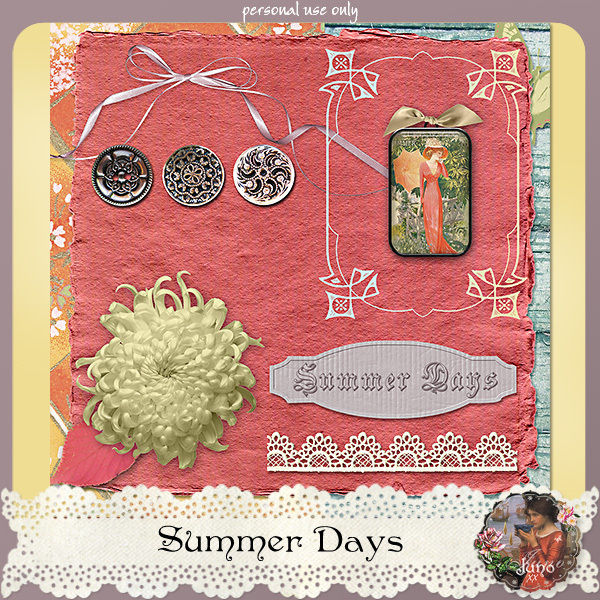 I wish I could, so all I can do is download freebies, it makes my scrapbooking difficult to keep coming up with the ideas, I look at all the beautiful ideas that people put up and I can do none of them. Thank you for your time I have downloaded many of your beautiful papers before but 4shared annoys me now. I know they are just trying to get us to buy it and it is not your fault. That’s so kind of you to come back and say. Thanks, deltalee! I do absolutely sympathize with your frustration. 4-Shared is a great service for the most part and I’ve been lucky wih my experiences with it. But every so often it goes through a bad patch for some reason, and I often come across others fuming about difficulties uploading and delays downloading. I checked again today for the wait time for Summer Days and it’s much shorter. It would be interesting to try again at your end and see? Re your 8″x11″ dilemma , try Googling “A4 digital scrapping”. There are others who print their work in this size and you may find some extra tips. Or Google “Brag Books”, which are typically 4″x6″ and 5″x7″, and see what others are doing with this framework. Do you know how to resize your papers and elements? I came across a great tip for using 12″x12″ Quick Pages in smaller formats: Resize the QP to 8″x8″, then add a panel using other matching elements or use it as a journalling space or for a large photo. You may be able to resize and use part of the QP as a bg and do a soft blend for your photo to make it harmonize with the rest of the LO. Thank you so much for the very pretty kit, I’ve been wondering where you were! Are you in any of the retail stores yet? Plannng to? A combination of really good days, when I was busy doing interesting things away from my computer, and really bad days, when I was busy doing nothing at all have kept me from Digiland. And thanks for your enquiry about me selling in retail stores. What keeps me from this step is the fact that I don’t want to have a contract to produce a certain number of kits per month. What I am hoping to do next is to master wordpress.org software and set up my own website. So far, it’s still a WIP! But I’m looking forward to completing it. Fantastic! Delighted it had a happy ending for you, deltalee. Good to see you back Juno *SS*. Thank you so much for the beautiful kit. I haven’t dl. it yet, but will – even if I had to wait for 4shared. It begins with a waiting time at 20 seconds, then it becomes more the next time you dl, until it’s 360 seconds – I think. I don’t dl. much anymore as I have so many things. BTW: do you know wht has happend to DSO??? Try THIS link for DSO.